This is Day 1 of Krabi! After our Bali trip in October last year, i knew i wanted another Beach Destination and Tiger Airways came up with a Promotion somewhere before Christmas so we grabbed the promo and paid less than $300.00 for 2 pax to Krabi. Bearing in mind that April is not a low season, it was definitely a great deal. 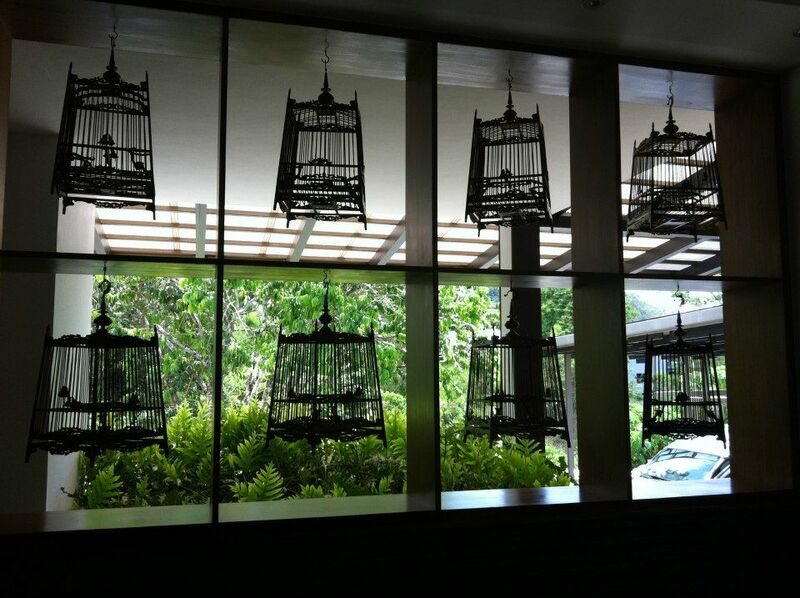 We arrived Krabi at about 12.20pm and checked in to Mercure Krabi Deevana. We love that it is at Ao Nang but not very near to the busy streets and tuk tuks are always available to bring us to the walking street which is about 5mins away and cost 40 baht (S$1.60) only. 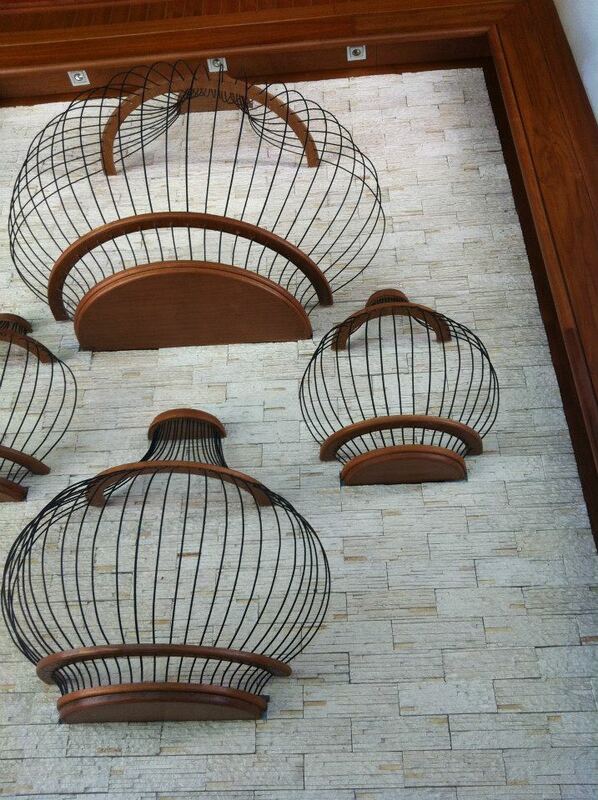 the front desk had these really nice birdcage deco on the wall. Because it was already lunch time by the time we checked in and got the room, we head out to Ao Nang street to look for food and get some snacks and toiletries. The first stall we came across. 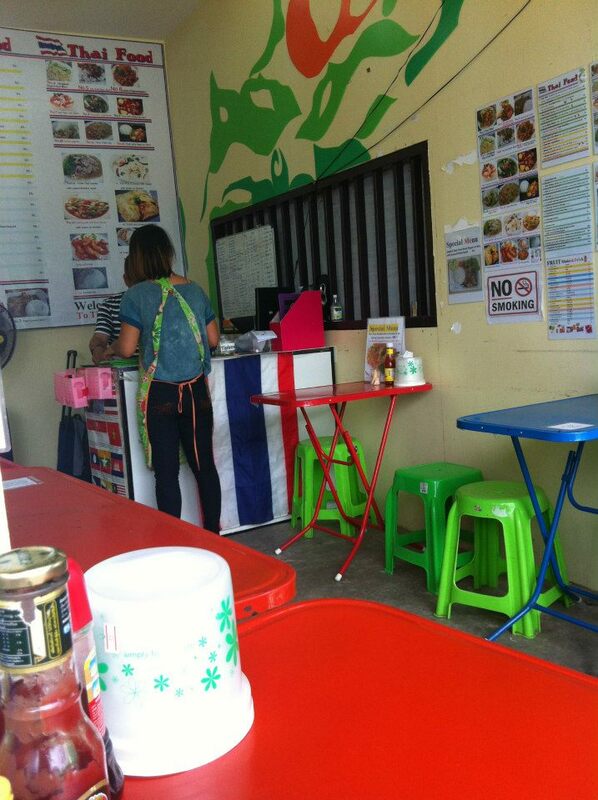 A muslim-owned stall that sells errr Thai Food? I know 40% of the population in Krabi are Muslim. What i didn’t know was how easy it was to find a muslim-owned eating place! They are everywhere and you’ll find in almost every shop, there’ll be one person donning the hijab. So we let loose on this trip and ate the local food we could find and most of them didn’t dissapoint. The 1st eating place we went to is quite near to the Mc’Donalds / Starbucks area and the signboard simply states “Thai Food” (very original, i know). 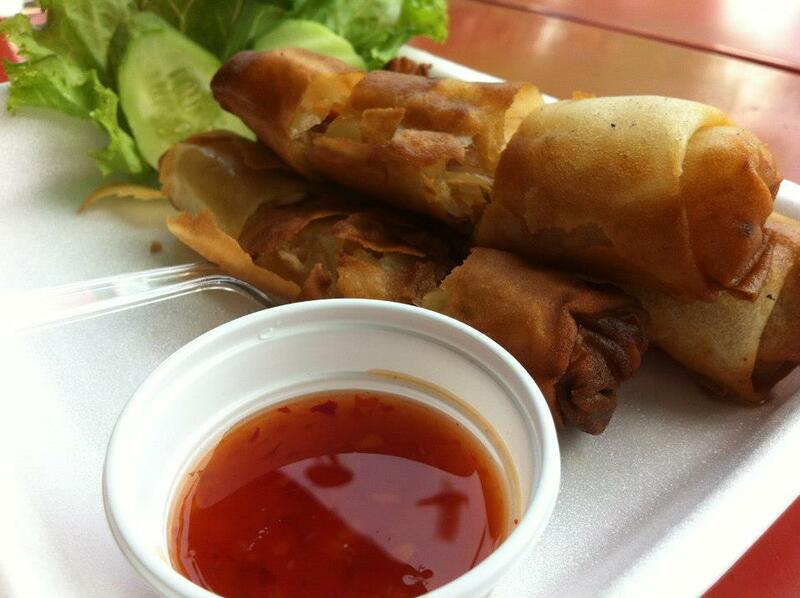 the nicest popiah in Krabi we tried. 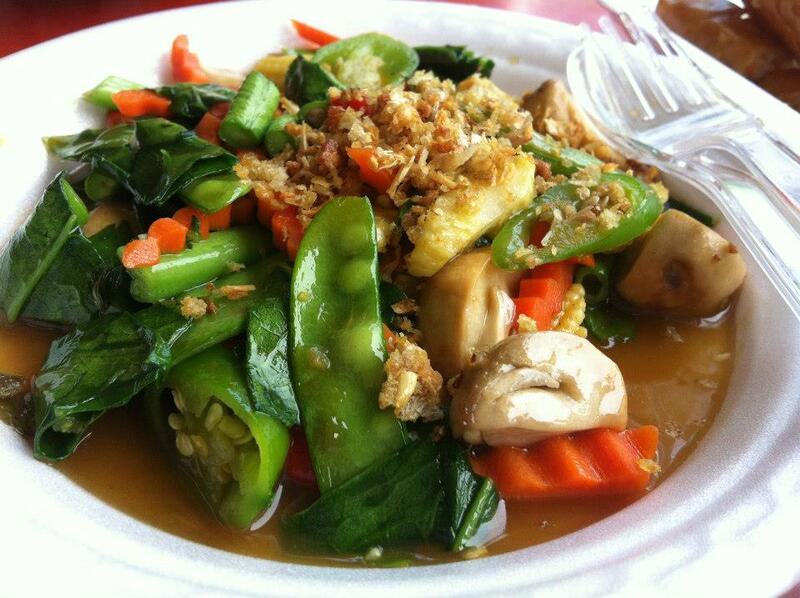 i know some people hate eating vege but i love green vege. Like really love. I can’t stand Taugeh and peas though. 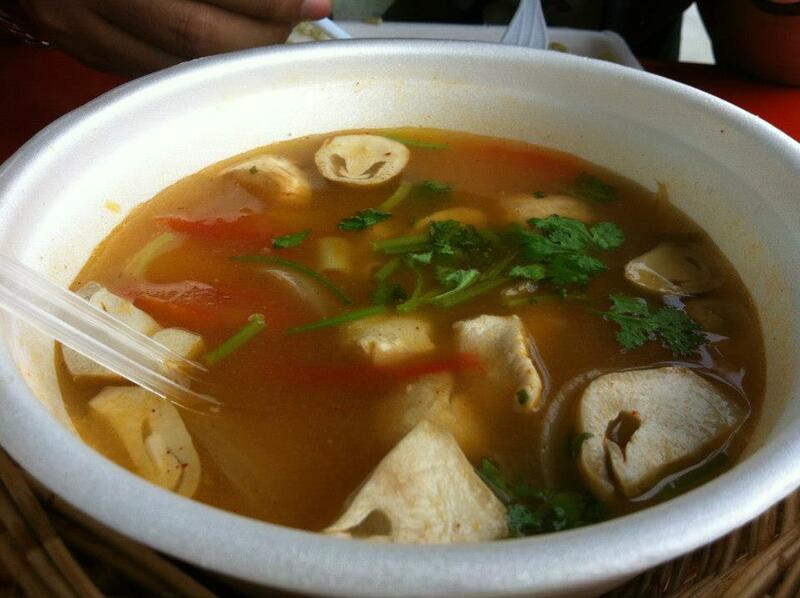 Tom Yam Soup. Apparently in Thailand, they have the Clear Tom Yam Soup, Red Tom Yam Soup and creamy Tom Yam soup. This look diluted but could make you selsema the next minute. 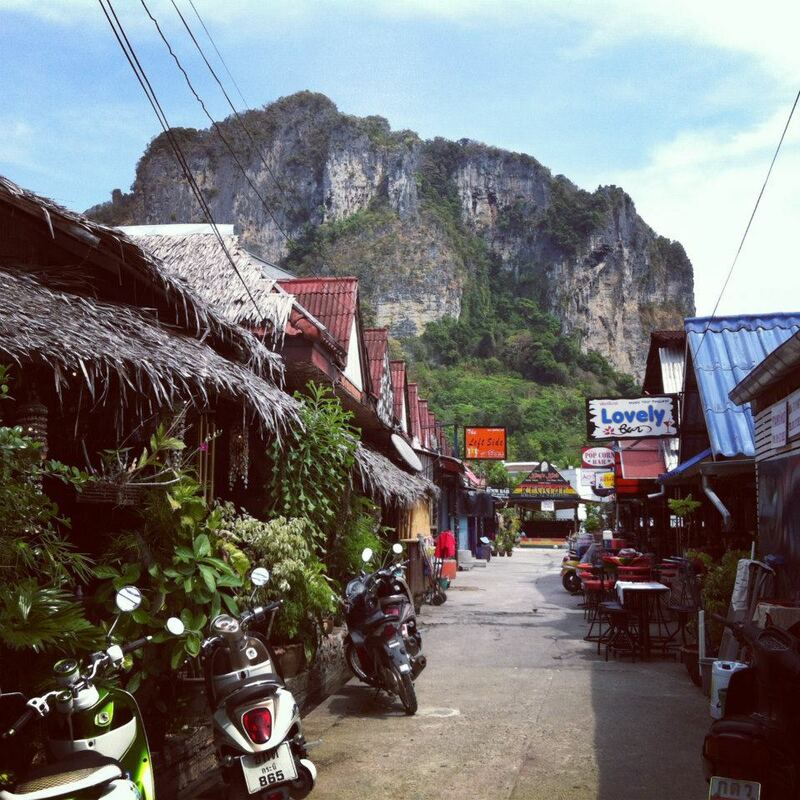 the gorgeous limestone cliffs, commonly seen all over Krabi. We got back to the hotel after lunch just to laze around, watch TV and made appointment for a spa session at Ao Nang at 7.00pm. 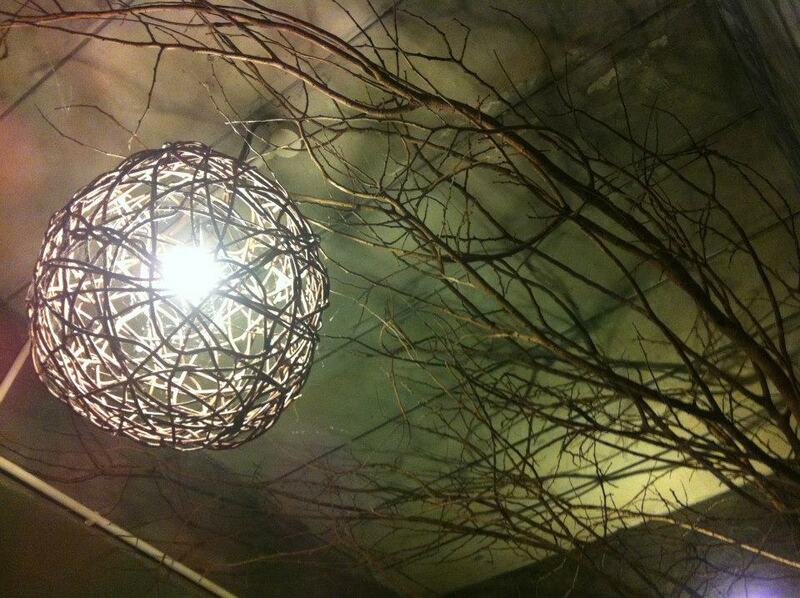 This deco at the spa went to is nice but in a creepy way. We went to a Spa called Let’s Sea Let’s Relax. It is just opposite the Mc’Donalds. The signboard is really small and you could miss it but it is really opposite Mc’Donalds. We took a 2-hour Aromatheraphy Massage and it was the best i had in Krabi. Sampai tertido. Tak tau lah kalau berdengkur kan.
By the time we finish our spa at 9.30, went around Ao Nang Walking Street to look-see look-see, we realised most of the restaurants and food stalls were already closed for business. Unlike Phuket, where the night is still young every single night, Krabi is more laidback so by 10.00pm, most of the eating places would be closed already. Like everybody else, i LOVE this Banana Pancake. 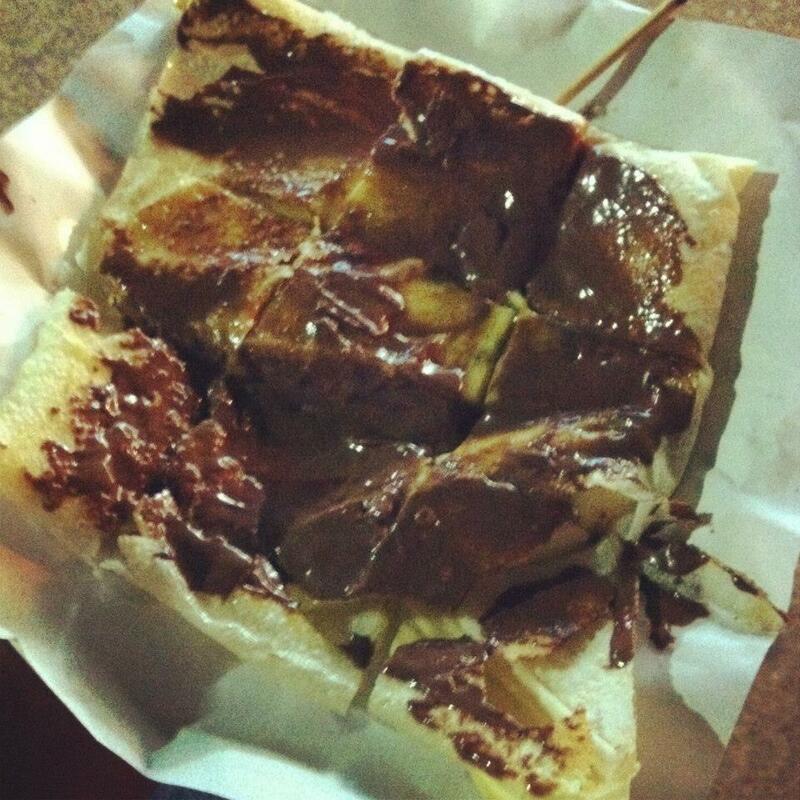 I first had this when we were in Phuket and had been craving for this for so so long. sigh. We went back to the Hotel and managed to get Room service 5 mins before they close their orders. Thank god! 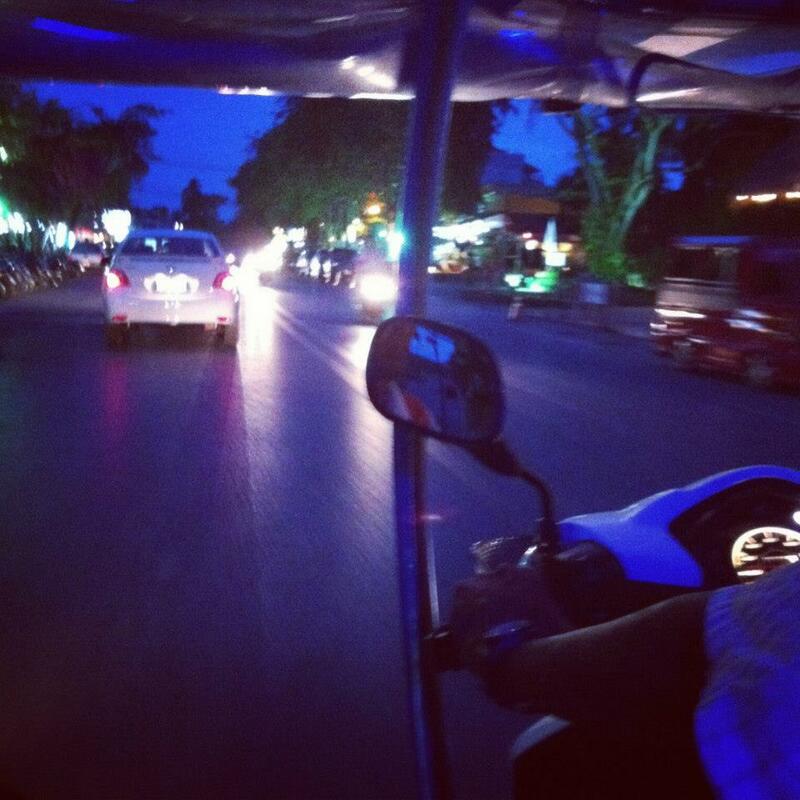 your post makes my heart swell for krabi. I went last June and it was one of the best holidays I had… rindu!! I agree w u almost all are Halal food. But sadly the indian sellers are really hard to deal with there. and did u speak to some of the thais? they speak malay tau!! Amazing!! oh! and I stayed right oppo McDonalds at “Somkiet Buri Resort” hehehe. It is so much nicer in Krabi and the people are so much warmer. Surprisingly i did not come across the indian sellers there/ I came across the indian sellers at Phuket and yes, dealing with them boleh sakit jantung. I was blog-hopping and came across this! OMG!!! I love this hotel alot! I went there last year and stayed at the pool access rooms, and it was sooo awesome, definitely one of the best holiday I ever had. I’m glad you had fun too. You’re making me miss this place more. SOBS! But we felt like dorang malas nak layan kita, just because we are asians and not ang moh. I lodge a long complain on their website because it was so frustrating. But, all in all, i actually love the hotel itself!